Ecosystems and all the life that exists within them rely on the ability of plants to harness the suns energy and convert it into gulcose. The energy is then transfered through the food chain and eventually recycled as animals and plants die, decompose and return the nutrients to the soil. The plants are called producers (they produce the initial energy). Consumers eat the producers & maybe other consumers. Decomposers return the nutrients to the soils. 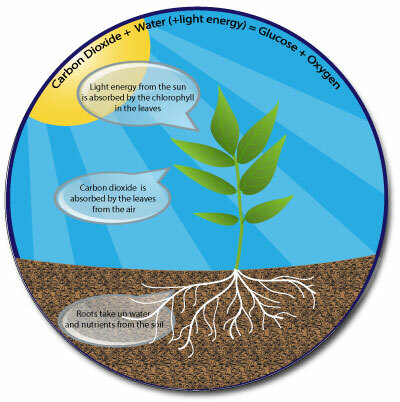 Photosynthesis also plays an important role in producing oxygen which is essential for life. Located in equatorial regions (high temperatures)..
Low pressure which creates high rainfall. Dense vegetation with distinct layers (Emergents, Canopy, Under Canopy, Shrub). Lianas are vines that creep wind around other trees to reach the canopy. Trees have buttress roots to support their height. Leaves are often waxy & have drip tips to shed the rain. Deforestation for cattle ranching, mining, logging. Soil erosion due to deforestation & heavy rain. Loss of habitat, species & potential medicines. Disruption of nutrient cycle as trees are removed. Impact on climate change as less CO2 is absorbed. Distinct wet & dry seasons. Adapted to survive the dry season & thrive in the wet. Baobab trees have thick trunks to store water to last through the dry season. Acacia trees have waxy leaves to reduce water loss and sharp thorns to protect against being eaten. Plants have long roots to absorb water deep in the soil. Famous endangered species: lions, leopards, elephants. 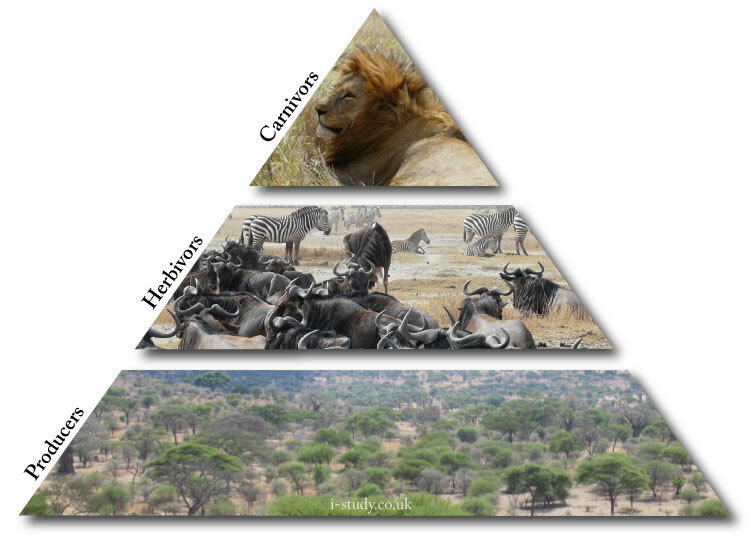 Migratorary animals: buffalo, wildebeest & zebras. Camouflage: big cats blend in with the grasses. Giraffes have developed long necks to reach high vegetation & have tough leathery tongues to protect against the thorns of the acacia.